Discover the ‘Birthplace of the Telegraph’ and experience life during the early years of the Industrial Revolution and at the dawn of the new era of communications. 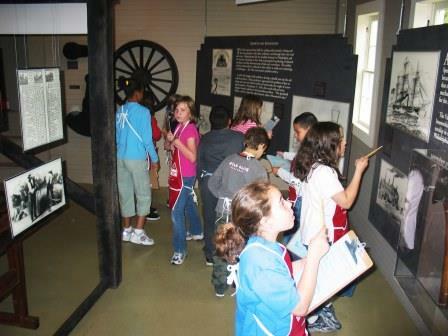 Through guided tours, special events, school and youth programs, home school programs, and summer recreational programs, this National Historic Landmark museum, comprised of 8.22 acres, offers hands-on opportunities to capture the flavor of life during the early to mid-19th century. Begin your visit at the restored L'Hommedieu House Visitors Center. Here you will enjoy the S.S. Savannah Exhibit, which explores the creation and strife surrounding the maiden voyage of the first steamship to cross the Atlantic Ocean. The wooden patterns for the revolutionary engine were made at the Speedwell Ironworks under the supervision of Ironmaster, Stephen Vail. The Visitors Center is complete with an award-wining orientation presentation, changing exhibits, and gift shop. The most significant building at Historic Speedwell is the Factory Building, a National Historic Landmark. Here Stephen Vail's son, Alfred, worked with Samuel F.B. Morse to conduct the first successful demonstration of the telegraph on January 11, 1838 to the public, making Historic Speedwell the ‘Birthplace of the Telegraph.’ Three floors of hands-on, interactive exhibits take you through the development of the telegraph and to its connections to modern telecommunications. Attached to the Factory Building is the Wheelhouse, and you can see the restored 24-foot overshot water wheel in action. 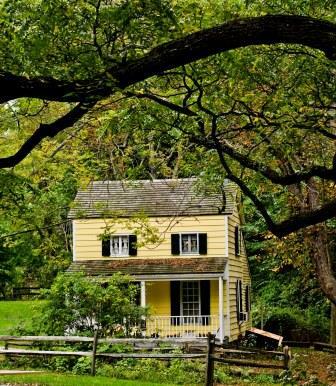 The Vail House offers a glimpse into the lives of the Vail family during the 1844 to 1864 period. 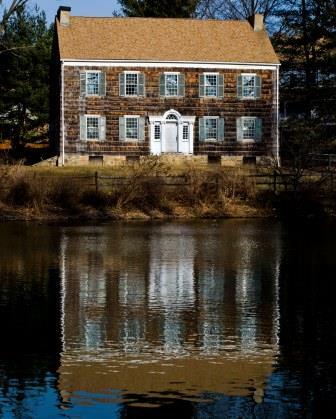 Fully renovated by Stephen Vail in 1844, the home boasts original furnishings, period antiques, and portraits of Stephen and his first wife Bethiah, painted by Samuel F.B. Morse in 1837 and given to the Vail family as a gift. Plan on hosting your next formal or informal family gather, or corporate event at Historic Speedwell, which offers the option of reserving the 1849 Carriage House and L’Hommedieu House meeting room. For more information, please call 973.285.6534. The Friends of Historic Speedwell support Historic Speedwell through volunteer efforts, fundraising, and program assistance. The organization also manages the Historic Speedwell gift shop. Digital facility maps are available online. From the opening day, a full array of programs and events are scheduled. The season begins in April with SS Savannah Anniversary programs, and in June, there is a Civil War Weekend. Of course, you are always invited to take a guided tour of the site, or relax while enjoying the extraordinary landscape and architecture. Check out the calendar of events for more programs. 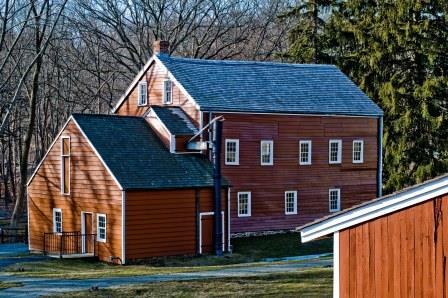 Historic Speedwell, a National Historic Landmark preserves the restored estate of Stephen Vail, proprietor of the Speedwell Ironworks from the early to mid- 800s. 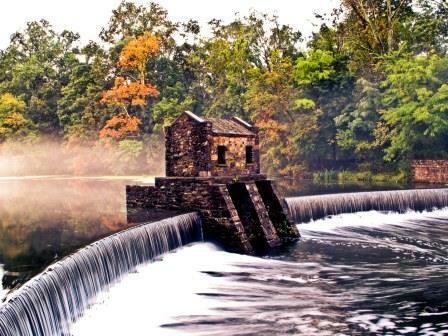 The Morris County Park Commission acquired the property in 2002 and opened it to the public in 2003. A restored Factory Building reopened in 2008 with the assistance of the federally-funded grant program, Save America’s Treasures. The project also received a Historic/Cultural Award of Excellence from the National Association of County Parklands and Recreation in 2009. 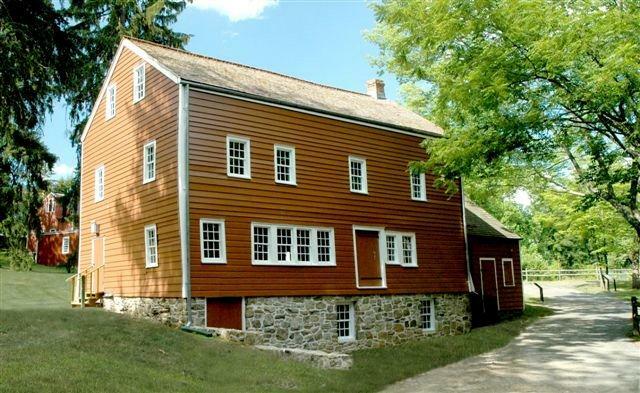 Historic Speedwell is open April through October, Wednesday through Sunday. Hours Wed.- Fri 10 a.m. to 5 p.m. Sat. 10 a.m. - 6 p.m. and Sunday 12 noon - 6 p.m. Last tour begins at 3:30 p.m.